Schneider Electric has signed an agreement to manage the DCS for the two concentrated solar power (CSP) plants, Khi Solar One and KaXu Solar One, located near Upington. 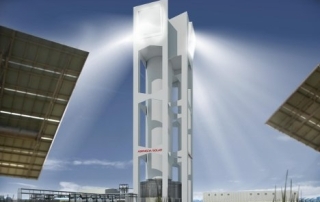 Abengoa is now evaluating a new design that could reduce proposed capacity but plans Palen Concentrated Solar Power (CSP) as a single tower including thermal energy storage. Schneider Electric has signed an agreement to install the distributed control system (DCS) for the two concentrated solar power (CSP) plants, Khi Solar One and KaXu Solar One, in South Africa. 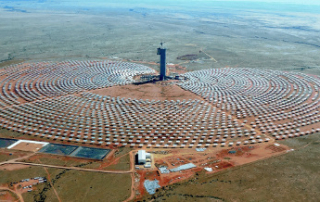 Abengoa reports that its Khi Solar One and KaXu Solar One concentrated solar power (CSP) projects in South Africa’s Northern Cape are both about 80% complete. CMI Energy won this thermal-solar boiler order in 2012 with the Spanish company Concentrated Solar Power (CSP) Abengoa Solar. 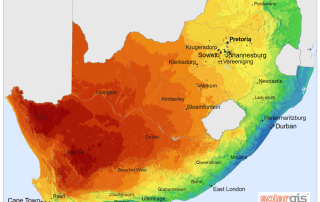 Although the Concentrated Solar Thermal Power (CSP) market is small compared to the wind and PV sectors, CSP may be particularly relevant to the South African market.